Baked in some UX design for your convenience. Alio Pro family comes in 6 weights/12 font styles of Roman and italic (Approx. 700+ glyphs each including hundreds of ligatures, discretionary ligatures, and stylistic alternates). Ideal for logos, branding, posters, book covers, store signs, and packagings. 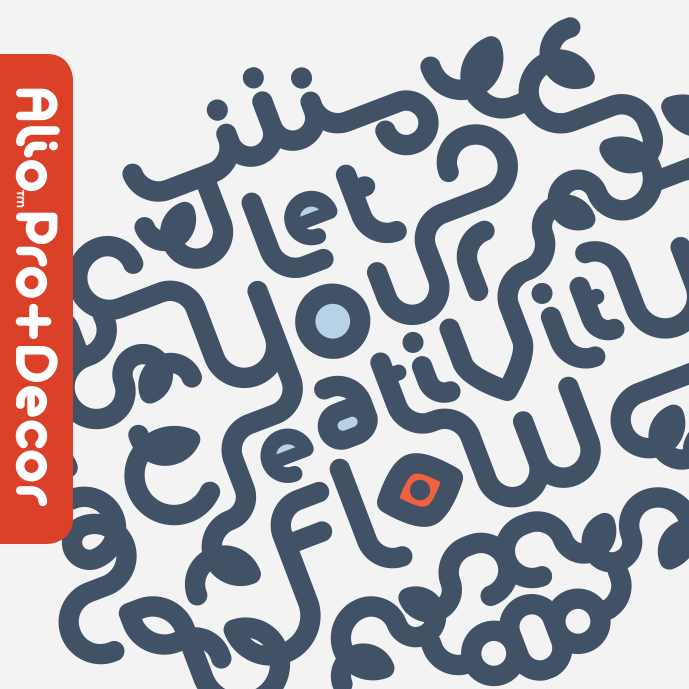 Alio Pro works well with Alio Decor. Together, you can create stunning flourish designs or unique type treatment to your projects. STANDARD LICENSES INCLUDE: 12 OTF and 12 TTF files of Alio Pro Black, Black Italic, Bold, Bold Italic, SemiBold, SemiBold Italic, Medium, Medium Italic, Regular, Italic, Light and Light Italic. WEBFONT LICENSES INCLUDE: 12 WOFF, 12 WOFF2 and 12 EOT files of Alio Pro Black, Black Italic, Bold, Bold Italic, SemiBold, SemiBold Italic, Medium, Medium Italic, Regular, Italic, Light and Light Italic. Get the most out of Alio. Buy this combo for less than purchased separately. Don‘t need the whole family? You got it. Choose from 12 styles of Alio Pro.